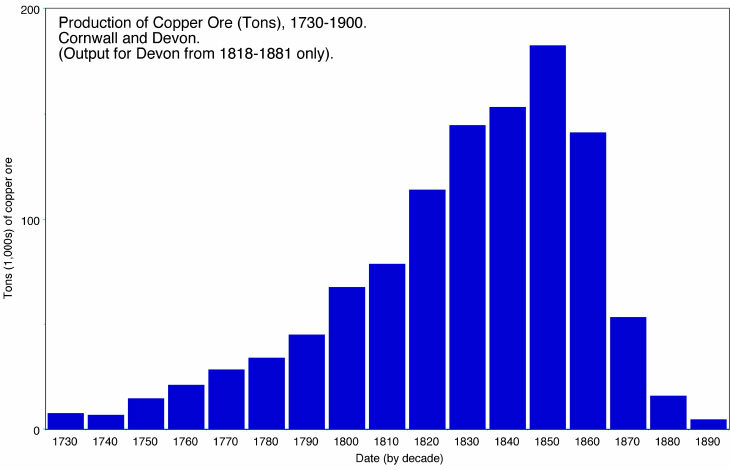 The removal of the monopoly of the Mines Royal allowed Cornish copper mining to expand. Under Letters Patent, dated 1564 and 1604, the Society of the Mines Royal was given the sole right to mine for gold, silver, copper and quicksilver over much of England and Wales. The first attempts at copper mining in Cornwall and smelting at Neath in South Wales in the 1580s failed. After this time the Society ignored copper in favour of lead mining. By legislation in 1689 and 1693 the “dead hand of monopoly” was abolished, opening the way for others.